Computing is where you find it. And computer scientists Michael Littman and Dave Ackley find it just about everywhere. Computing is not just in your PC and phone and the internet. Living systems compute. People compute. Plants and animals compute too. 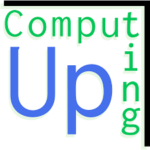 Computing Up is a place for discussions about computation writ large. More posts by Computing Up..